Shoot Winchester? Prefer Lapua? Or, is Remington more your style? 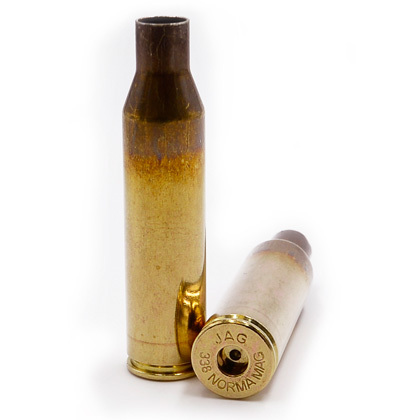 No matter which brand you prefer, Jagemann™ rifle brass is always reliable, precise, and American made. 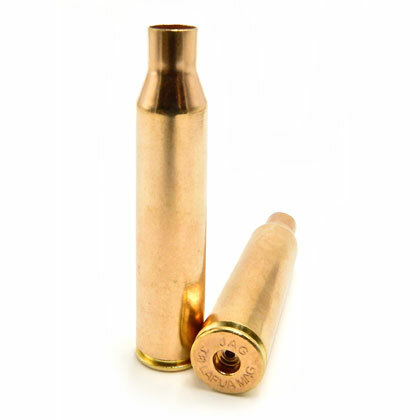 Our bulk rifle brass has been designed for mostly every type of firearms enthusiast, from military and law enforcement agencies, singe and team competition marksmen/women, weekend target shooters, to those reloading for the perfect hunting adventure. 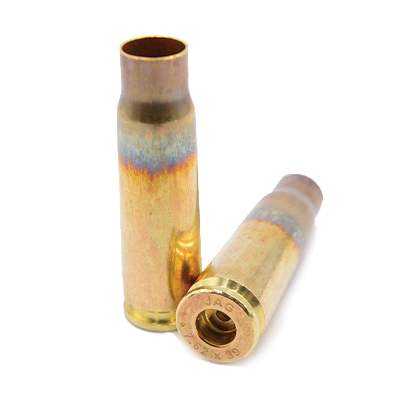 Depending on your style, our rifle reloading brass is available in bottleneck profiles, rimless designs, as well as belted options – each drawn from premium, American-made brass cups. 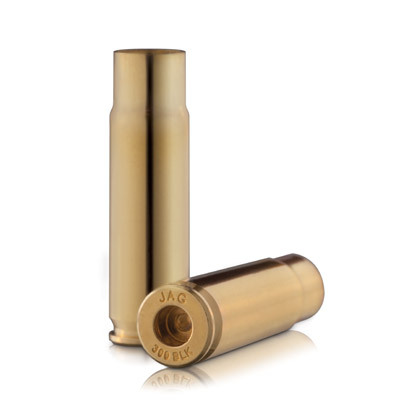 So, don’t just shoot with any brass, find Jagemann™ rifle brass for sale and get the shoot you expect. Bottleneck, rimless. 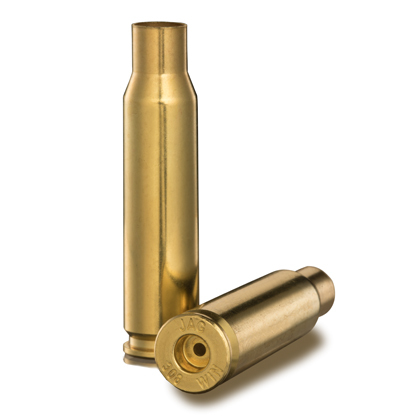 A compact .30 caliber featuring minimal recoil and perfect for medium-sized game. Bottleneck, rimless. 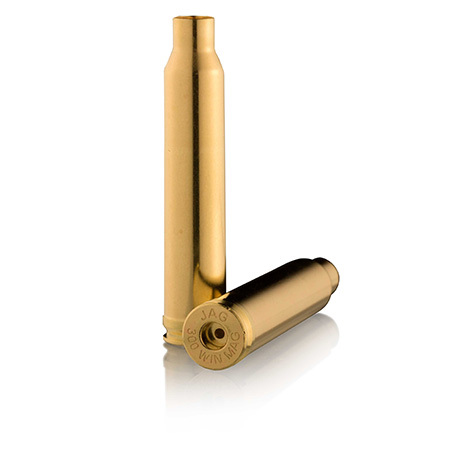 Features nearly the same external dimensions as 5.56x45mm NATO military brass with 55,000-psi. Bottleneck, rimless. 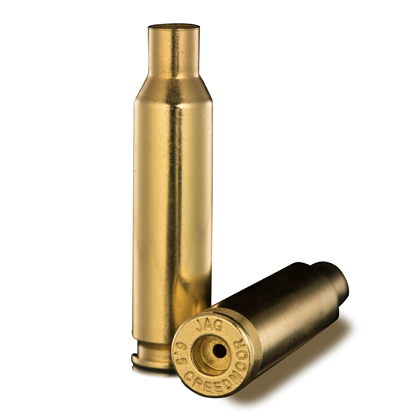 Intermediate brass common with military applications, competitive firearms, and home defense. Bottleneck, belted. Versatility perfect for hunters, target practice, as well as law enforcement/military. Magnum, belted. 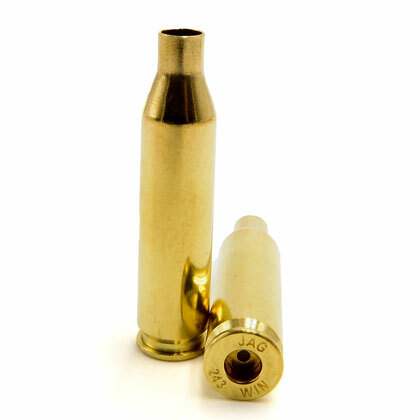 Designed for easy extraction, it is a recognized go-to when it comes to dangerous game hunting. Bottleneck, rimless. 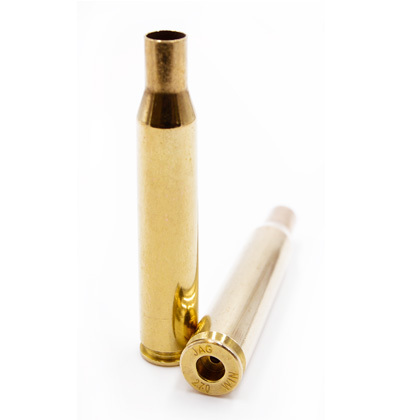 Center fire rifle brass with a slower muzzle velocity, designed for target shooting and hunting. Bottleneck, rimless. An ideal choice for big game hunting, target shooting, as well as military sniping and police sharpshooting. Bottleneck, rimless. High powered, long range, originally designed for military sniping, but is finding popularity with hunters. Bottleneck. 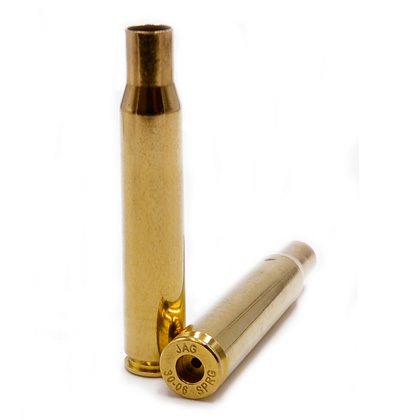 A popular sporting brass option, was originally intended for target shooting and varmint hunting. 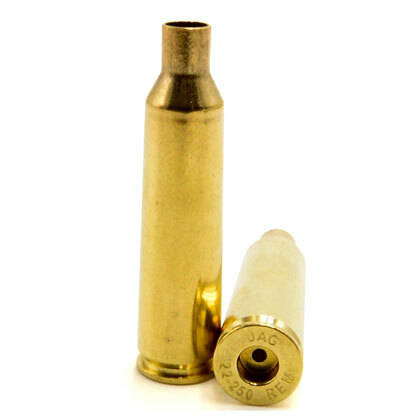 This cartridge is a necked down .30-06 Springfield and is the same length as the .280 Remington. Bottleneck, rimless. Known for its remote wounding effects. 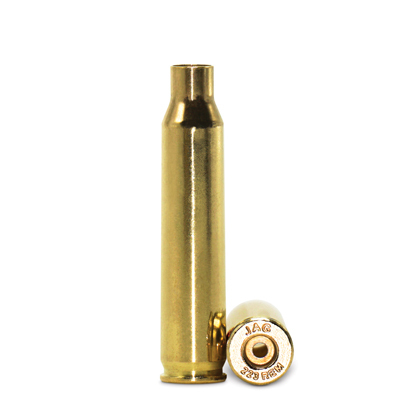 It’s high velocity, short action brass capable of 4,000-ft. per second. Rimless, bottleneck. 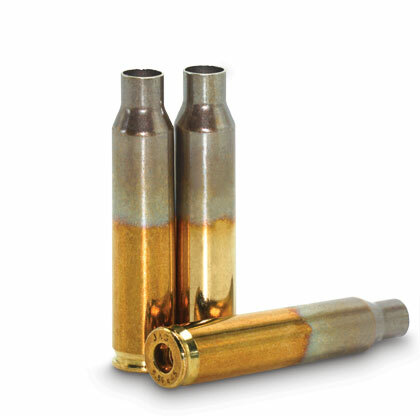 Today, the .30-06 remains a popular sporting round. It is loosely based on the 416 Rigby and specifically designed to shoot the 300 grain Sierra Match King in a Remington 700 Long Action. 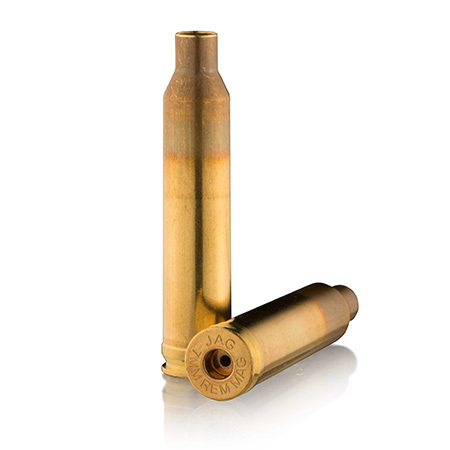 The .260 is popular with competitive rifle shooters due to its long range and lower recoil. 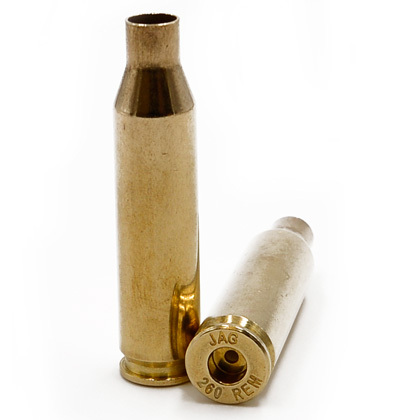 The 7.62 x 39 mm round was designed during World War II. It is of Soviet origin.